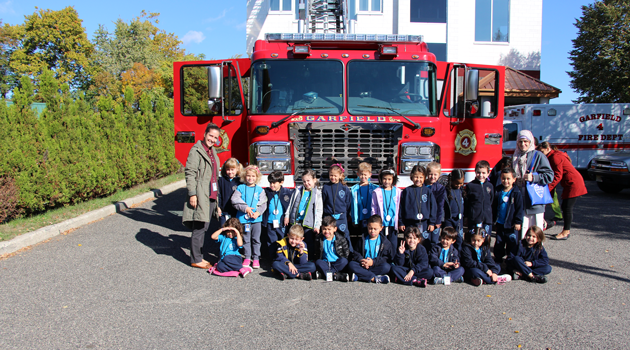 In honor of Fire Prevention Week, Bergen Arts and Science Elementary K-3 students had the privilege of visiting Firehouse #4 in Garfield this week. The firefighters explained what they should do during a fire and how to help themselves to stay safe. The students also learned what must exist in order for a fire to start and ways to put a fire out. They were amazed as they saw a firefighter enter the room in his full firefighter safety suit and oxygen mask! In addition, the students were excited to talk to the fire fighters to ask questions on what they learned. Thank you to Garfield Fire Company #4 on hosting such an important informational program for our students to teach them about fire safety.